Walking to our office was nothing less than an adventure. The pavements (or sidewalks, if you must) are intermittent, vary in height every few metres and in some places are non-existent or nothing more than rubble and earth. Even the very best of them, laid in wealthier areas, are impassable as they’re planted down the centre with low-branching trees. We quickly learned that the hierarchy in Amman is something along the lines of: taxis, cars, trucks, cranes or tractors, then trees, then trash receptacles and their resident cats and then, lastly, pedestrians. Amman, like Rome, was originally built over seven hills but, with little to geographically limit its expansion, it has since sprawled out over 19 hills. Perhaps for that reason, public transport is currently non-existant apart from a handful of indecipherable bus routes and over time the automobile has become king. That, along with all the American chain restaurants we saw everywhere – Chili’s, Papa Johns, Hardee’s, Appleby’s – prompted Stacker to joke it was like being in Texas. 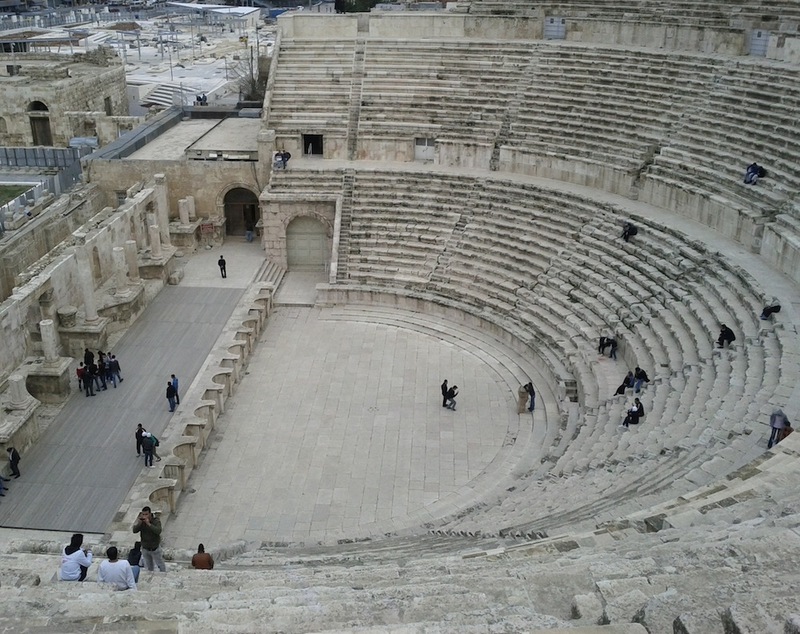 Amphitheatre in central Amman – also courtesy of those Romans. As there’s currently no co-working space in Amman (gap in the market, any takers?) we had to look around for other options for places to get work done. Somehow Stacker stumbled across a start-up called Jeeran, who aim to be the Yelp of the region and who offered to host us in their offices for free. Yep, that’s right. Free. Despite having absolutely nothing to gain from having us use up space and internet bandwidth in their office, they welcomed us openly and everyone we met in the office was extremely friendly. 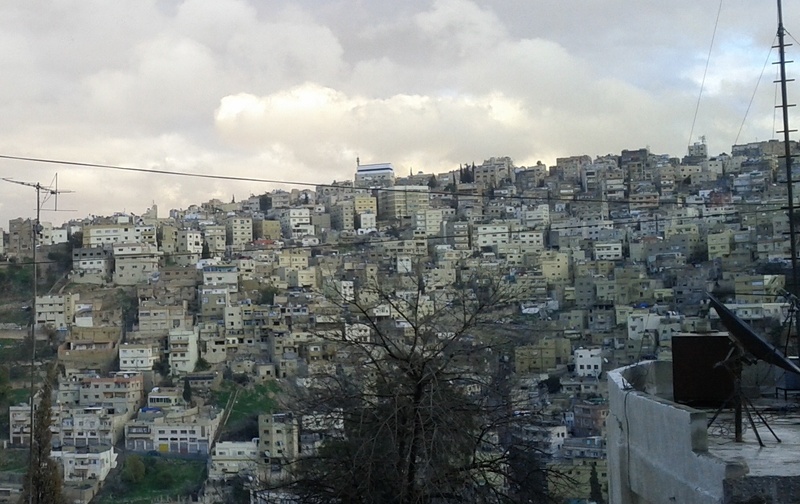 Many offered to show us around and even told us to feel free to call them if we were ever lost in Amman. We met with this kind of welcoming spirit and generosity time and again in Jordan: in shops where they’d routinely give us discounts because they didn’t have any change; when we stopped at a cafe to ask for directions and the owner pointed us to his BMW and said “Jump in, I’ll take you there.”; on an isolated road near the Dead Sea at night when we’d run out of gas and a family stopped to help us out. The father of this family drove one of us to a petrol station, drove back and then he actually filled up our car himself, using a butchered plastic bottle as a crude funnel. So overall our first impressions of Amman were mostly positive – the welcomes, the lack of hassle and the laissez-faire attitude towards us. Perhaps due to the Jordanians’ eagerness to build up the tourism industry in the country, everyone was keen to ensure we had a good time. It being our first visit to a largely Muslim country in the Middle East, we weren’t really sure what to expect before arriving. It was nice to see plenty of women out and about, working or hanging out in cafes, both covered and uncovered, alone or in groups. It put paid to my stereotypes that all the women would be hidden behind closed doors. I also imagined having to buy alcohol from back-alley shops with blacked out windows. Not so. 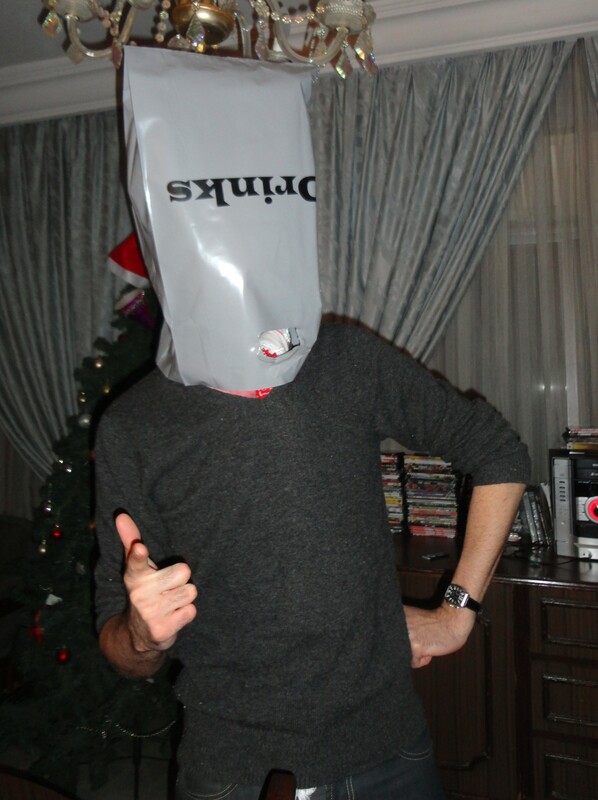 The nearest liquor store was both well-lit and well-stocked and our purchases were handed over to us in silver bags emblazoned with the word “Drinks” in giant bold letters. Stealthy. Well I only lived there for a month so perhaps I should just stick to one of my safe topics…. 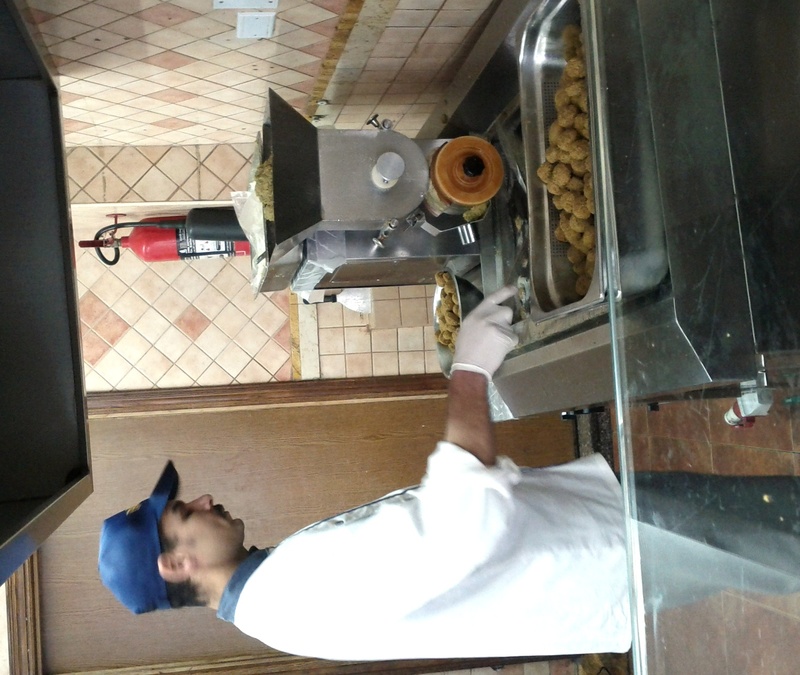 If you stay in Jordan long enough, falafel will quickly become your staple food. Common to most of the region, falafel recipes very from place to place, based on either fava beans, chickpeas or a mixture of both. As to the spice and herb combinations it varies from restaurant to restaurant. Regardless, I’ve yet to meet a combo I didn’t like and, for that reason, none of them survived long enough to have their photo taken. Sorry! Knafeh, pronounced kuh-nah-feyh (or something like that), sounds pretty unspectacular when described – white cheese covered in vermicelli pasta, heated until the cheese is melting and the vermicelli is cooked and then doused in sugar syrup. If it weren’t for the sugar syrup it wouldn’t sound like desert at all but, trust me, there is enough of that syrup to erase any doubts from your tastebuds. 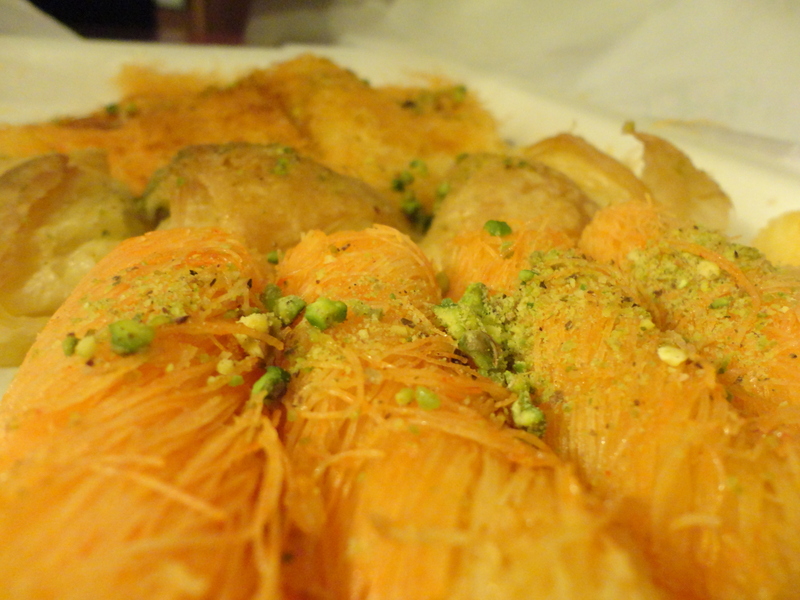 Pretty soon we were addicted and were, quite literally, buying knafeh by the kilo from the bakery. 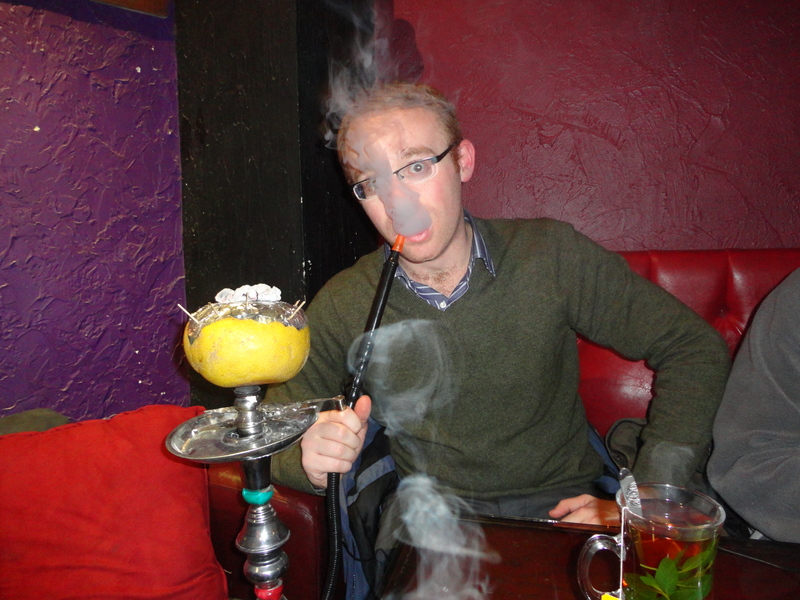 After subsisting on mainly falafels and knafeh for a few weeks, we decided to investigate some more substantial food. Kidnapping our hosts Sproglet and Erka, we headed to Beit Sitti, a cooking class set in a beautifully decorated house in the old neighbourhood of Weibdeh. 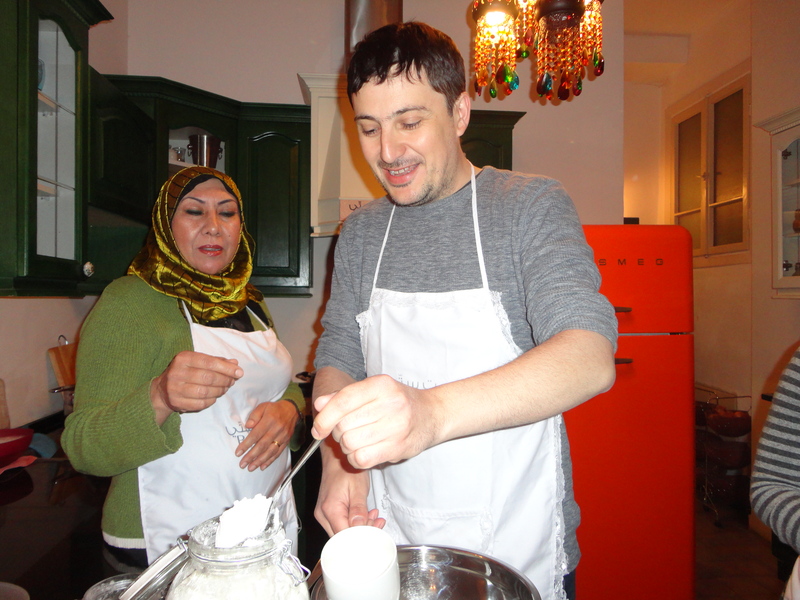 We were welcomed with fresh lemonade, given aprons and chopping boards and then a Jordanian woman showed us how to make pita bread dough from scratch, enlisting Stacker to help with the kneading. Meanwhile the rest of us attacked aubergines with forks before placing them on a hob to get charred up, ready to make a smoky dip called moutaabal. After little more than an hour, we’d whipped up a meal that would have taken me hours to prepare alone – many hands make light work as they say! Our starter consisted of a filling barley soup that they’d made for us before our arrival, followed by our individually-shaped pita breads and the moutaabal, which apparently Stacker had salted too much, to the dismay of the Jordanian cook who attempted to fix it with lemon juice. To us it was pure goodness. 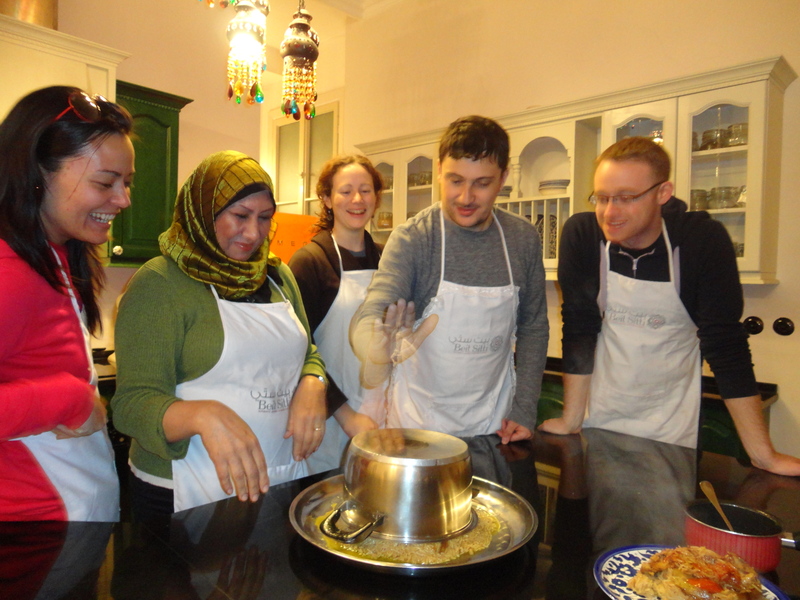 The main course was ‘maaloubeh’, a spiced casserole of chicken, rice and mediterranean vegetables that is then up-ended onto a plate like a cake. We ate giant platefuls of it mixed with yoghurt and a salad of finely chopped tomatoes, cucumber, lettuce and herbs. By this point we were ready to burst but for desert we hadn’t managed to escape our beloved knafeh, this time homemade by us and all the more delicious for it! Falafel Fix: Al Quds on Rainbow Street, Hashems in downtown and Paradise Bakery on Wakalat Street amongst many, many others. Knafe Fix: Habibah, downtown is considered the best but we also liked one on Abdullah Ghosheh street, near the junction with Mecca. NOTE: It sounds like the transport situation we experienced will soon be much improved with the launch of a new ‘rapid’ bus system and the ongoing deforestation of Amman’s sidewalks. We’ll be back to check it out! Reading this made relive the few hours I spent in Amman. The nightmare of the traffic and the wonderful little falafel from Paradise. What supberb writing. I mean superb. Cannot wait for your post from Beirut. I count on a description of Zarif and Hamra…. Yay… great to see some genuine, honest writing which also appreciates that Amman can be a great city, if you bother to look. So many people just dismiss it as boring compared with the cosmopolitanism of Beirut or politicisation of the WB or the madness of Cairo. I’m firmly looking forward to a coming couple of months there, and this post has reinforced that delightfully. Thank you! Thanks for your comment! Hope you enjoy Amman.. and Jordan as a whole. It has so much to offer. I look forward to reading your take on it!